Sixth form funding is in crisis. Two deep cuts to funding were made after 2010 and the national funding rate (‘the rate’) for 16 and 17 year olds has been frozen at £4,000 per student, per year since 2013. Funding for 18 year olds was cut to just £3,300 per student in 2014. The running costs of schools and colleges have increased sharply since 2010 and the government has imposed a range of new requirements on institutions. This has left much less money for schools and colleges to spend on the front line education of students at a time when the needs of young people have become increasingly complex (for example the sharp rise in students experiencing mental health problems). This rate rise should be in addition to, rather than instead of, funding that may be required by schools and colleges to meet significant new costs such as increased employer contributions to the Teachers’ Pension Scheme. The ongoing underinvestment in sixth form education is bad for students, bad for our international competitiveness and bad for social mobility. 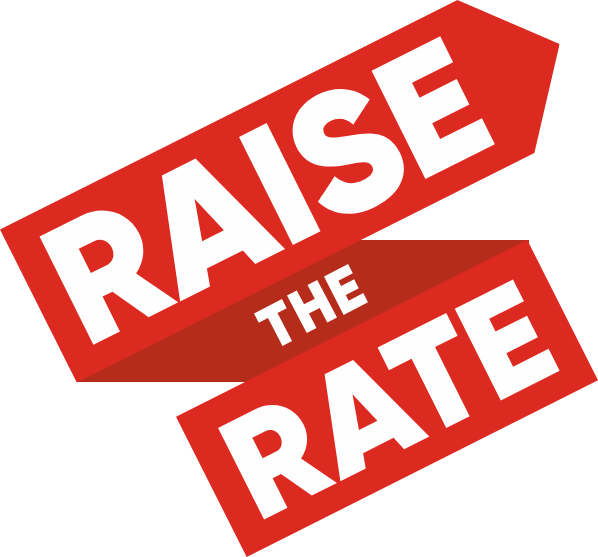 As the associations that represent schools, colleges, teachers, support staff, students and governors in England, we are calling on the government to #raisetherate – before it’s too late. Campaign news, videos and blogposts can be found here. More information and template letters can be found in the Resources section.